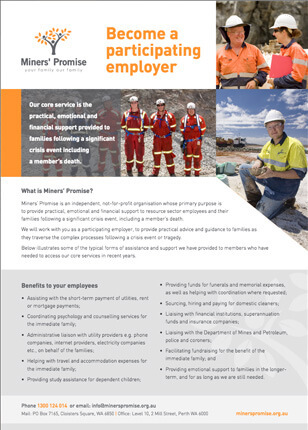 Miners’ Promise was established in 2010 to provide crisis support to individuals and families affected by the death of a loved one in the resources industry. 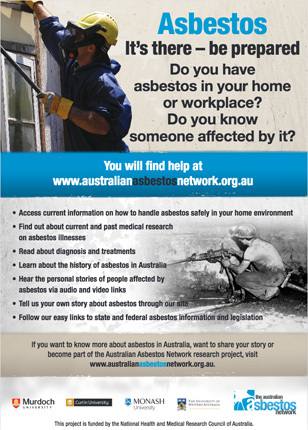 This offering now extends to the provision of crisis support following a serious accident or illness as well as death, whether at work or at home. 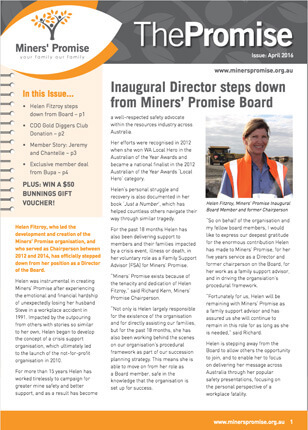 No Crumbs Communications was engaged to develop a strategic communications plan that would re-position the organisation and clearly communicate these key messages to the resources sector in Western Australia with a view to driving membership. The initial brief was to re-development of the brand, create a new website, social media strategy and on-site delivery tool-kit (including production of associated marketing materials). 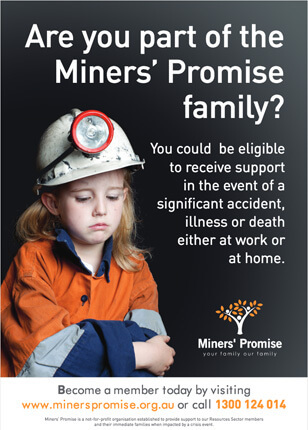 2017 will see the launch of a soft communications campaign to raise community awareness about Miners’ Promise and drive new memberships. 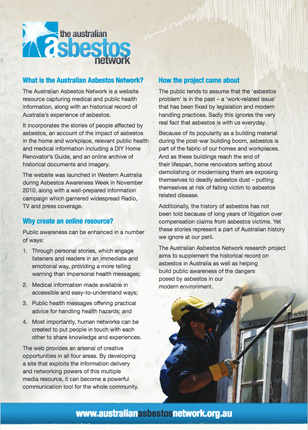 The Australian Asbestos Network is a major online resource created by a team of media researchers at Murdoch University who, in collaboration with renowned health professionals wanted to raise awareness about a “third wave” of asbestos related disease predicted to be rising amongst the home renovator market. Working as an integral part of that team for approximately three years, No Crumbs Communications was responsible for developing and implementing the communications strategy. Key channels used included social media, events marketing and industry presentations as well as the development and writing of all supporting materials. 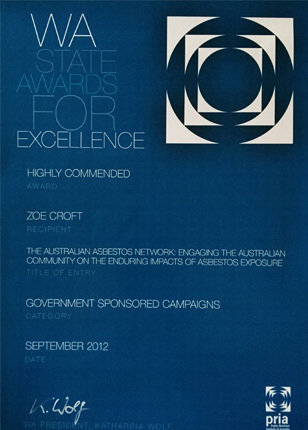 The strategy entitled, “Engaging the Australian community on the enduring impacts of asbestos exposure,” won a Highly Commended Award from the Public Relations Institute of Australia in 2012.